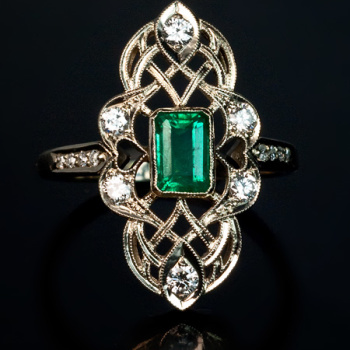 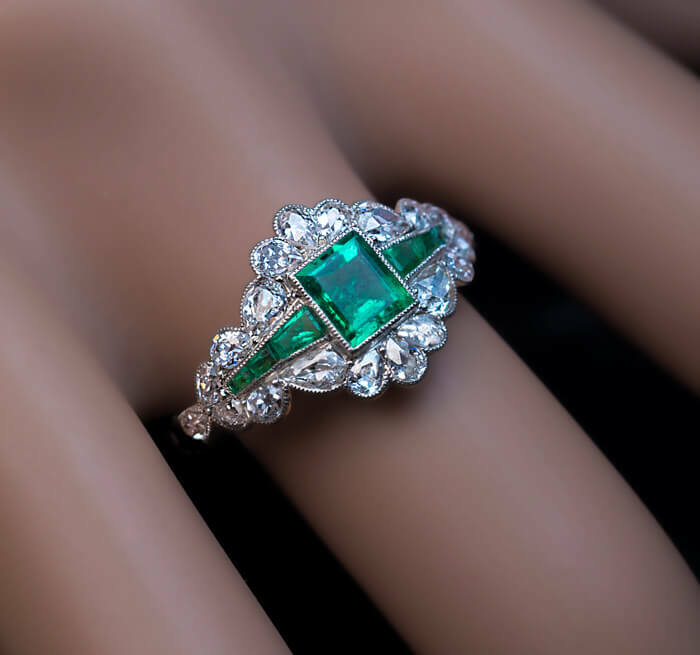 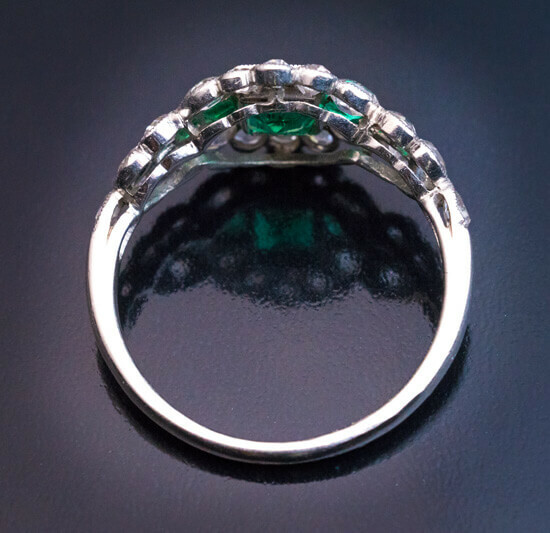 A platinum milgrain engagement ring is centered with a rectangular step cut natural emerald (5 x 4.4 x 2.95 mm, approximately 0.45 ct) flanked by channel set French cut emeralds. 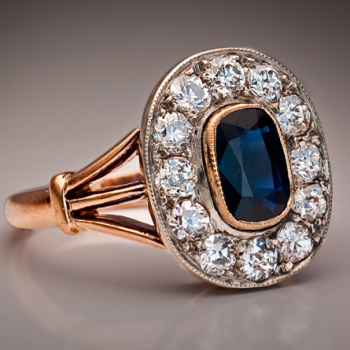 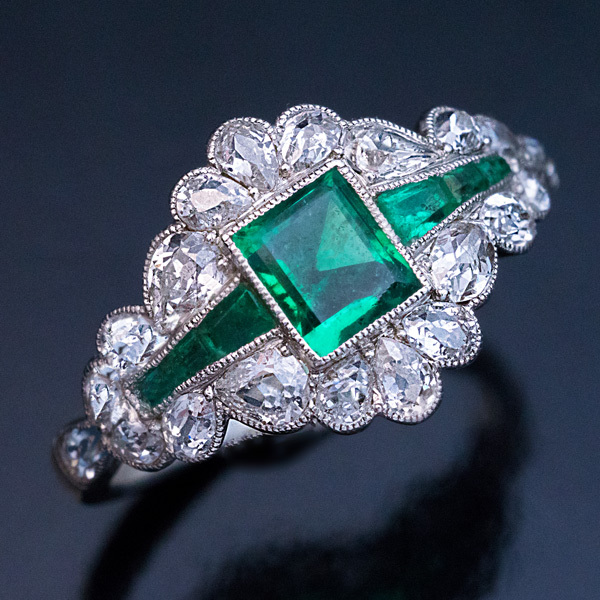 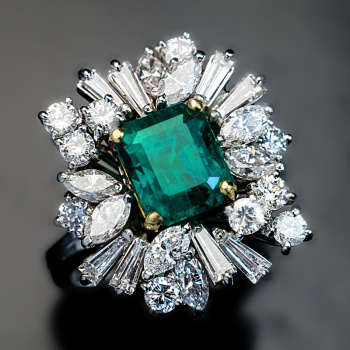 The emeralds are framed by 20 old pear cut diamonds. 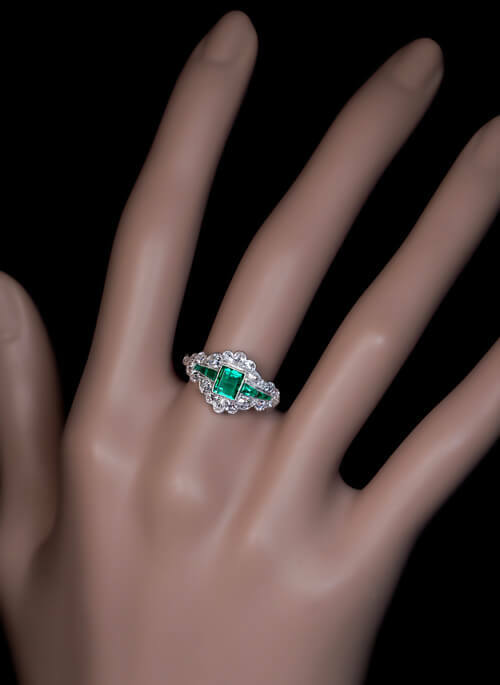 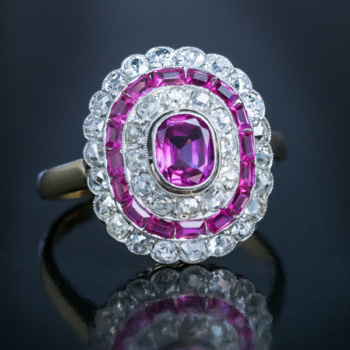 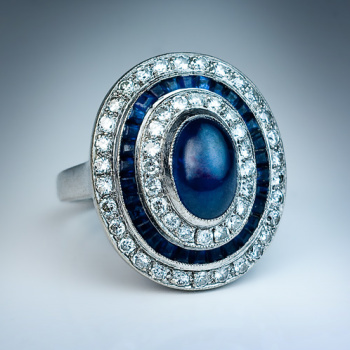 Estimated total diamond weight 1 carat.